Mid year workshops filling up fast! Book Now! What a wonderful year we have had so far! 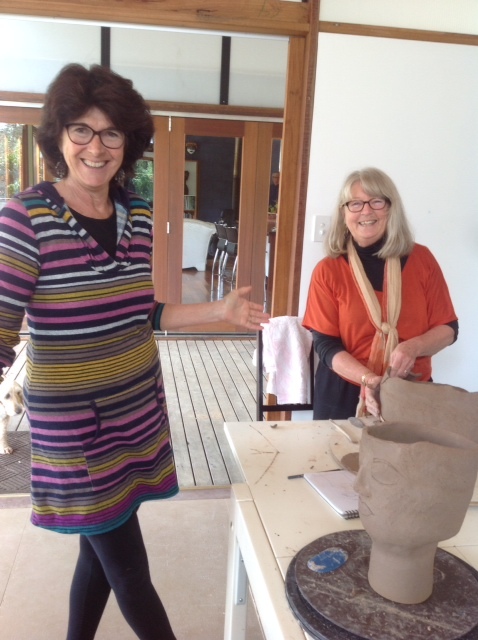 All my first term workshops have filled so quickly and many beautiful sculptures have come out my kiln. Have you been considering doing a workshop? Well act fast! Have a group of 4 or more? 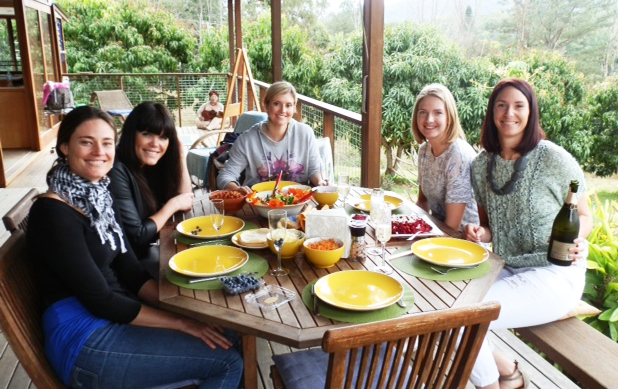 and a fully catered farm fresh lunch! Birthday party, hen’s weekend, creative weekend away? Come and enjoy a creative day with me in beautiful Uki! 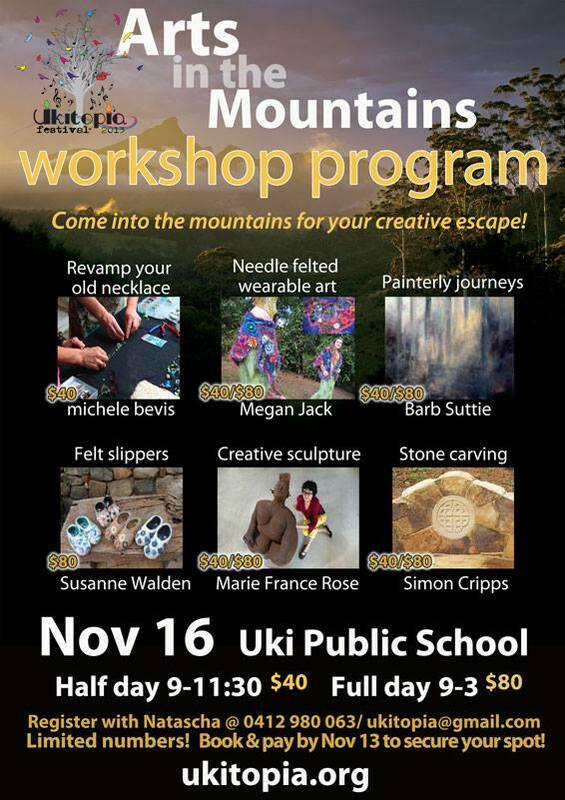 Come and inspire your creative juices at the Arts in the mountains workshop program. Nov 16. Uki as part of the Ukitopia Festival. All day From 10.00 am to 4.00pm $100.00 p.p. 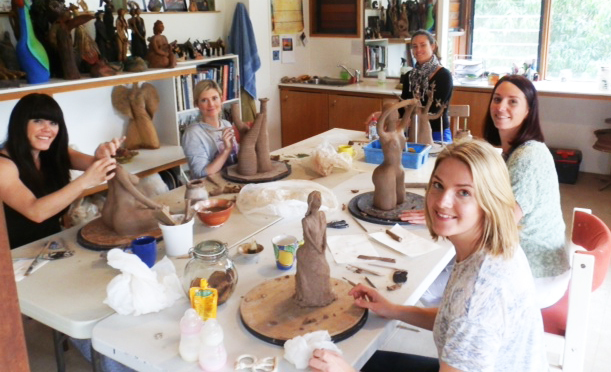 Discover a new way of working with clay , making large hollow pieces with out the need of armature. Participants will be launched into working with large scale sculptures. Master the technique of slab building. Learn how to work in a realistic , simplified or exaggerated style. Choose your own subject, maybe a figure, a bust , an animal or garden feature, or organic form. Please bring photo or image or sketch to use for inspiration. 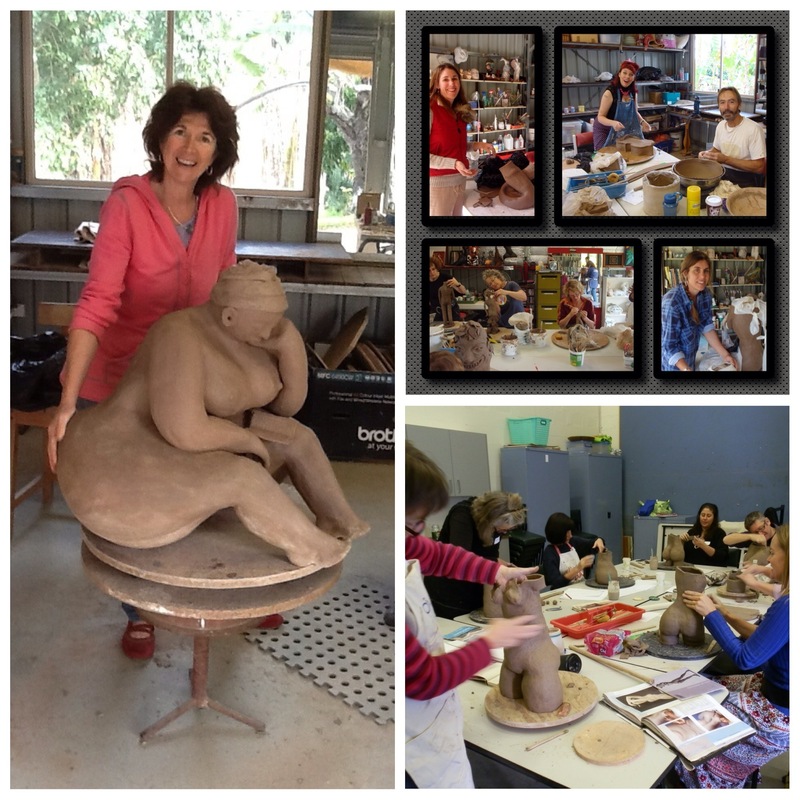 This workshop is suitable for beginner and those already experienced with clay. Follow my blog to keep up to date with all my latest news.